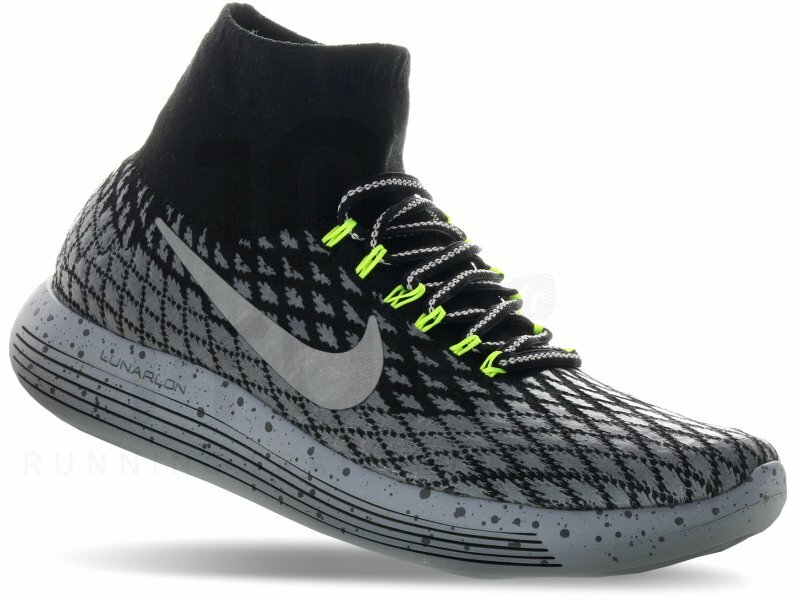 Nike LunarEpic Flyknit is a unique new model which features a sock-like extension on its upper part that goes up your ankles like a regular sock. This form-fitting design might look odd, but it’s cozy. The soft material hugs and stabilizes your foot creating quite a comfortable running experience. Their reviews have demonstrated confronted opinions on the style, but we liked it. When it comes to you as a potential buyer, you can work your way around the price of this model if you buy it whenever there are Nike deals and promo codes going on. Looking quite futuristic, men’s models as well as Nike LunarEpic Flyknit women’s models feature some of the most vibrant and interesting color schemes. We encourage you to take a look at them and be bold with your color of choice. If you don’t want to turn many heads towards your running shoes, the black version does a good job of disguising the upper part. That way, most people will think you’re just wearing black socks with them. 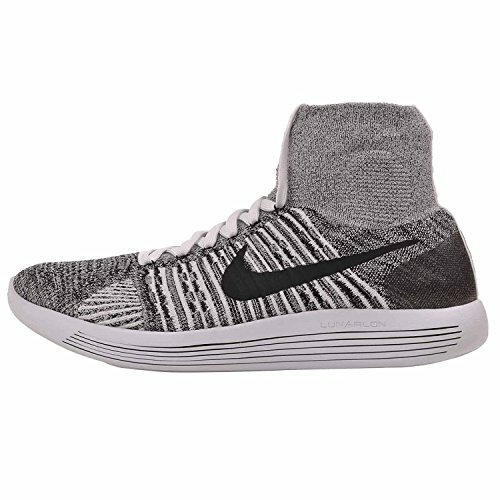 Our Nike LunarEpic Flyknit reviews have proven that this design works well in providing more security and stability for every step you make in them. You can even choose between two sock line lengths – 4mm and 6mm for a more personalized fit. 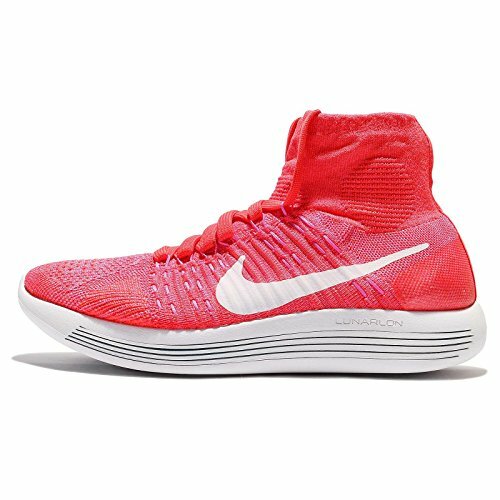 As the case is with other Lunar models which are already established as some of the best Nike running shoes, we have to complement the incredibly plush cushioning of this model as well. Nike’s unique material, Flywire, makes the build light and flexible as well as secure and durable, which is an admirable accomplishment. However, since it’s very expensive, we can’t vouch for Nike LunarEpic Flyknit high sales figures. 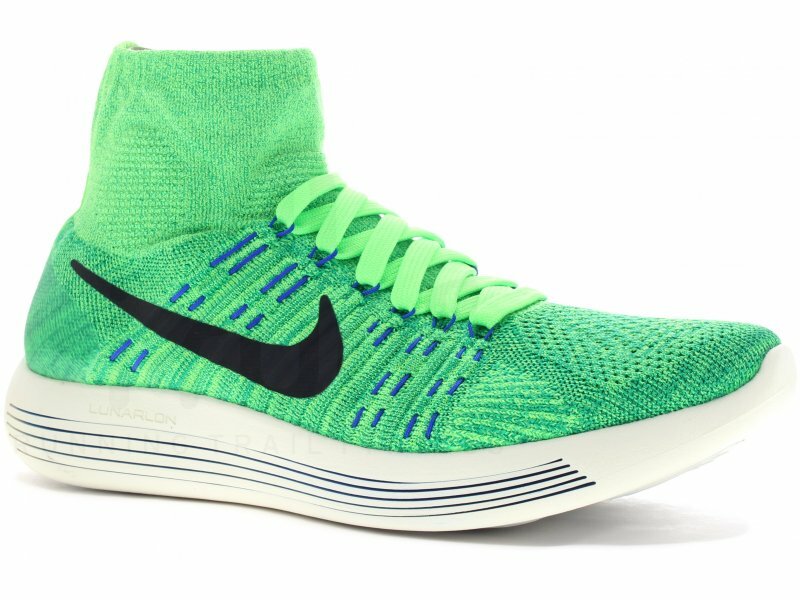 The LunarEpic Flyknit is good for both long-distance and short races. It has staggering traction on a multitude of diverse surfaces. What came up as an issue was the questionable choice of the mid-rise design of the upper part. 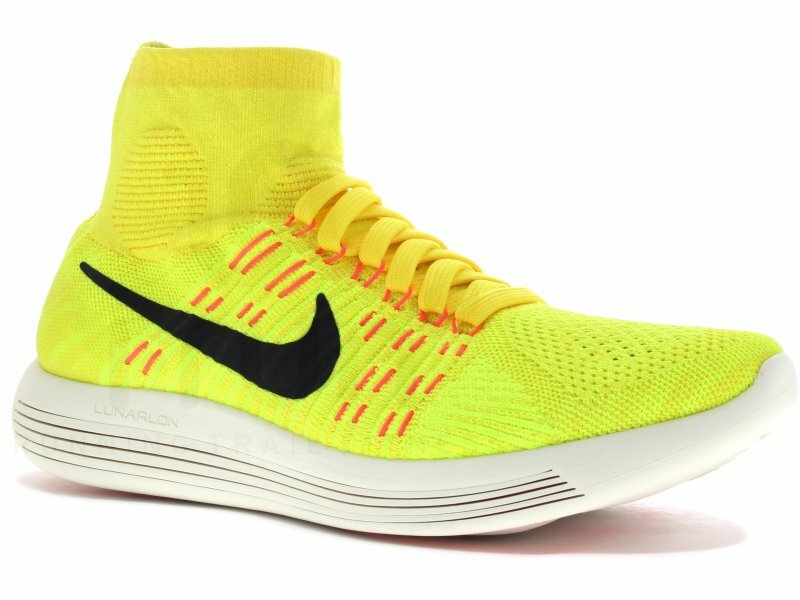 Also, the very tight grip of the Nike LunarEpic Flyknit men’s models was perceived as too narrow for some of our runners. Other reviewers noted some durability issues in the upper. This is something that would typically happen after miles and miles of running though, so we didn’t encounter it during our testing. We believe this model has a bright future. Hopefully, the rumored low sales figures won’t lead to the discontinuation of this line of Nike running shoes. If that happens though, we will blame the price tag rather than its design, as we truly do believe Nike LunarEpic Flyknit brings something new and interesting to the market. You’ll have to try it yourself and see how good it feels running in them while they fit you like a second skin.